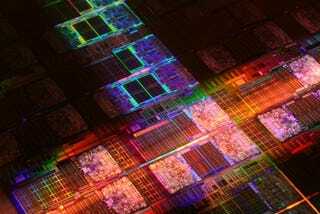 The pair of 45nm Intel chips that Sun oh-so-kindly leaked last month just got all official-like. Dunnington is "the first IA (Intel Architecture) processor with 6-cores, is based on the 45nm high-k process technology, and has large shared caches." Six cores, exciting! But not as exciting as Nehalem, which is Intel's "dynamically scalable" new processor microarchitecture which'll bring "dramatic performance and energy improvements" to Intel's chips. And that means what?